I’m kicking off a brand new room makeover! Ok, not a full makeover but a mini one. It’s finally time to turn my last baby’s nursery into a big boy room (insert mommy sobbing here). He’s almost three. All of the other kids had big kids rooms by now because I would need the nursery for the next kiddo, and well, I’ve tried to prolong this transition for as long as I could. It’s genuinely hard to believe that it’s been two years since I shared his Vintage Fishing Themed Nursery, now it’s time to turn it into a modern wilderness/woodland themed big boy room. 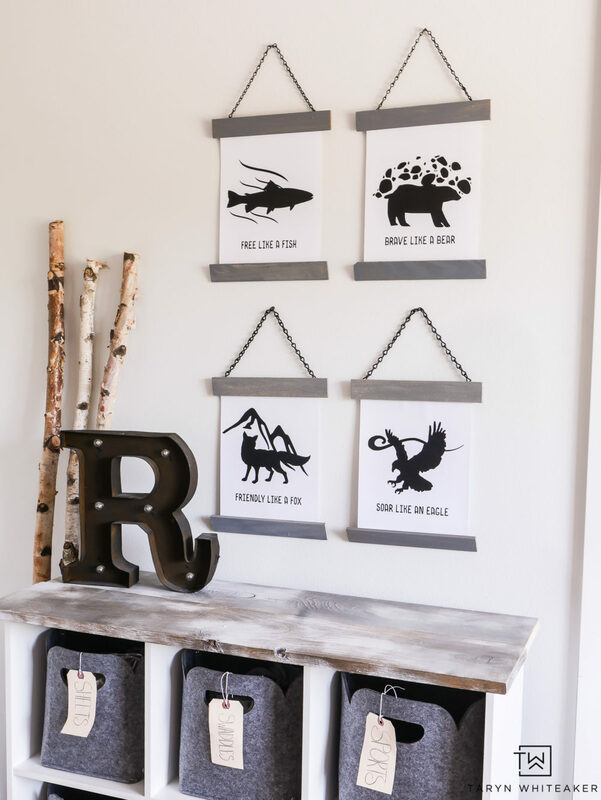 The first step is creating these black and white woodland prints to serve as inspiration! 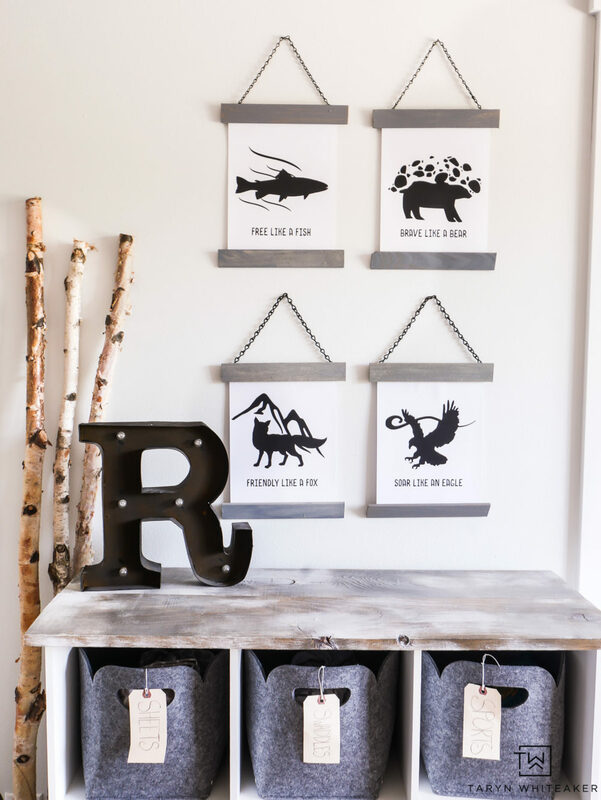 His room is already a cute vintage fishing theme with lots of rustic touches. I’m not changing that too much, I’m just adding even more mountain wilderness aspects to the room. I made these prints to bring in some more mountain modern touches, just a few more hints of black is all I need! Also, this is a basic cube storage system that I hacked a few years ago! You can click the link to see how I added sheet metal to the back and faux reclaimed wood to the top to give it a more unique rustic look. I printed the woodland prints at a local print shop so they are a little higher quality (still only cost me $.62) and then I made these DIY Vintage Frames to hang them! It’s the exact same process I used to make the large scale frame in our family room with my kids’ picture, I just made smaller version for these! 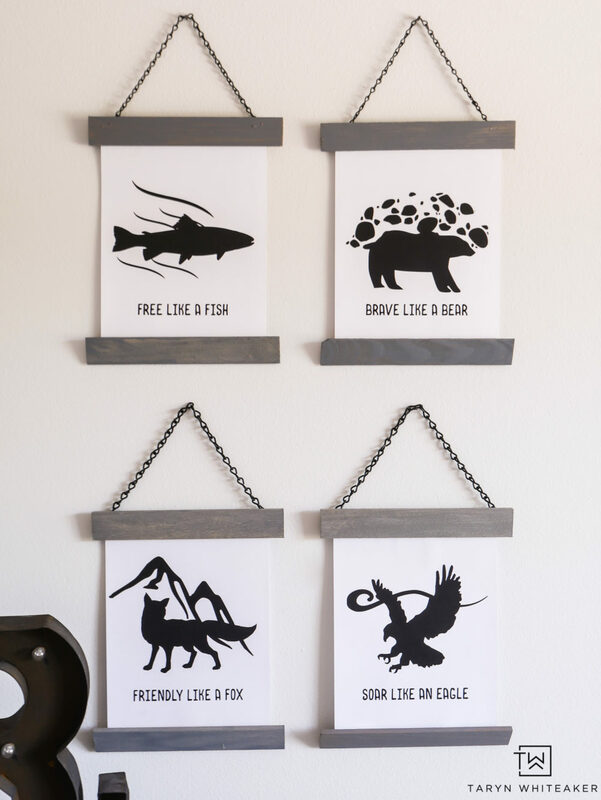 Free Wilderness Prints For Boy Room! 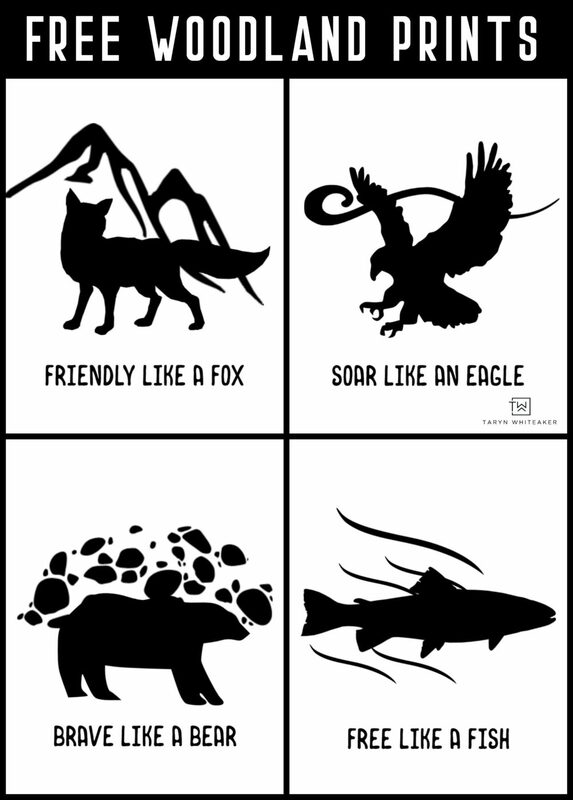 You can use the links below to download your own! Love these! 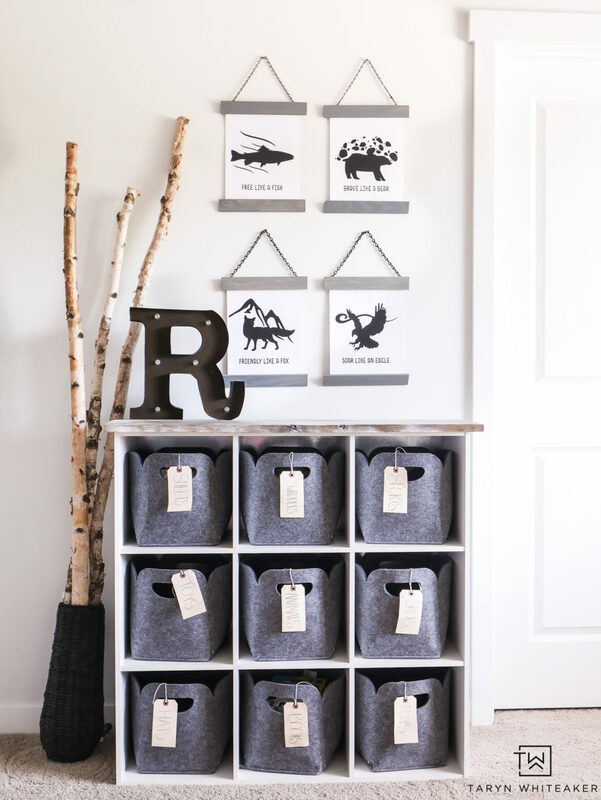 I now plan to do something similar for my craft room! Thanks for the inspiration. Perfect for a special boy I know, thank you!